This easy-to-make, cooling chocolate treat makes use of two irresistible childhood companions: chocolate milk AND Nutella. Hello, summertime! 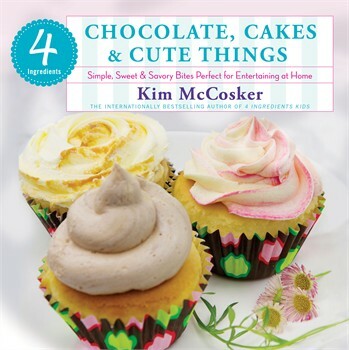 From 4 Ingredients Chocolate, Cakes & Cute Things. Two ingredients that are fantastic on their own but when combined create MAGIC! In a bowl, with an electric mixer, beat together the chocolate milk and Nutella. 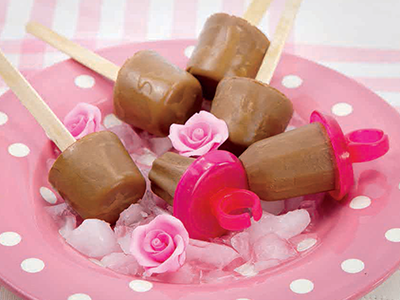 Divide the mixture among 6 popsicle molds and put the sticks in place. Keep in the freezer until set. Nutella is a chocolate-hazelnut spread that was created in Italy in the 1940s by Pietro Ferrero. At that time, chocolate was in short supply because of the war, so he stretched what he had by adding ground hazelnuts. Grazie, Pietro, my boys thank you from the bottom of their gorgeously grubby little toes!